Copley offered plenty of works in the four and five figures to entice new buyers. PLYMOUTH, MASS. 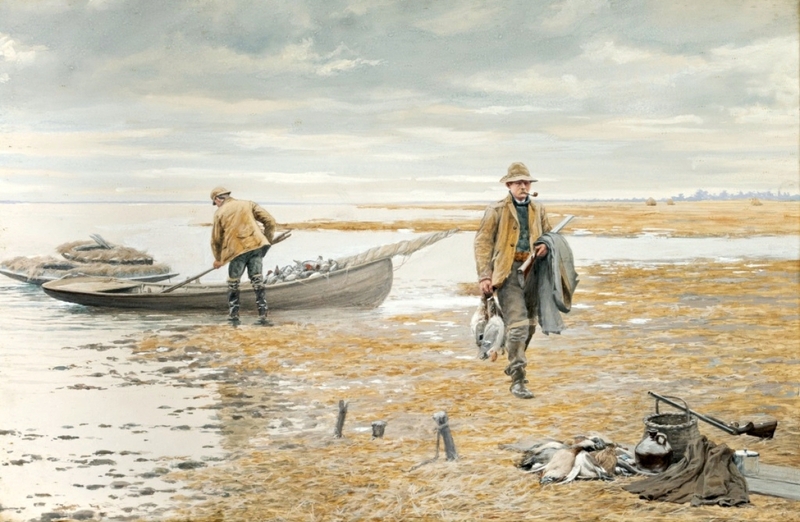 – The third and final installment of the Donal C. O’Brien Jr collection of American sporting art and decoys pushed sales to $5.2 million at Copley Fine Art Auctions’ two-day sale on July 19 and 20. The total was a personal best for the firm, which notched more than a dozen records for individual artists and makers. Eight decoy lots achieved six-figure prices. 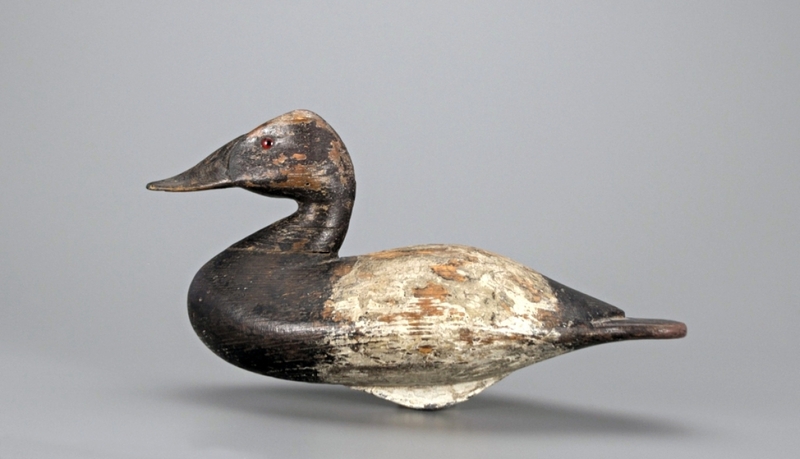 “While there was interest from institutional bidders, private collectors decided the selling prices on virtually all the premier lots,” Copley decoy specialist Colin McNair told Antiques and The Arts Weekly. Staged at Plymouth’s Hotel 1620, Copley’s annual summer sale got off to a bang with property assembled by Donal C. O’Brien Jr (1934-2013). In all, three sessions of O’Brien material, published in two catalogs, garnered $7.35 million over two years. The final installment was 90 percent sold and averaged a record $41,000 per lot. 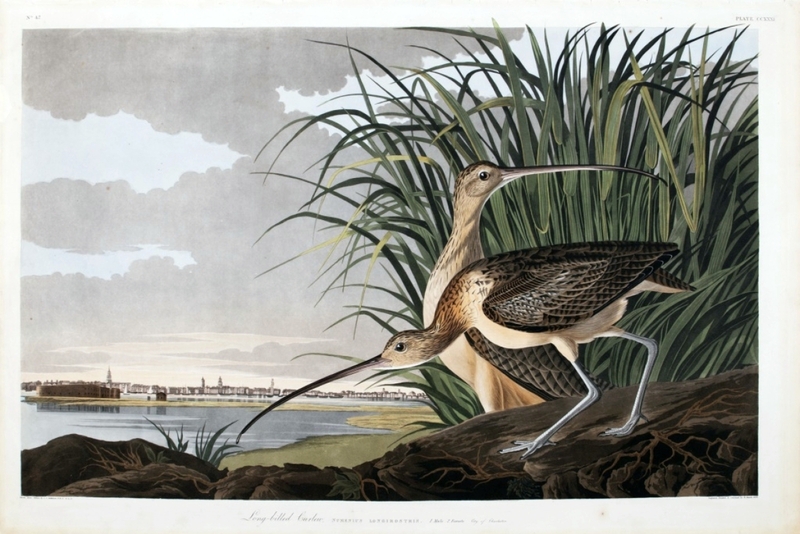 “He was a sportsman, a birder, a conservationist and a collector. He was a mentor, a friend and a strong leader who never walked into a meeting he did not want to run,” Copley chairman and chief executive officer Stephen B. O’Brien Jr wrote of his uncle. O’Brien was an important early source collector, purchasing or acquiring through trade many carvings from their original context. These exchanges, amounting to a history of decoy trade and scholarship, are recorded in Copley’s O’Brien catalogs. 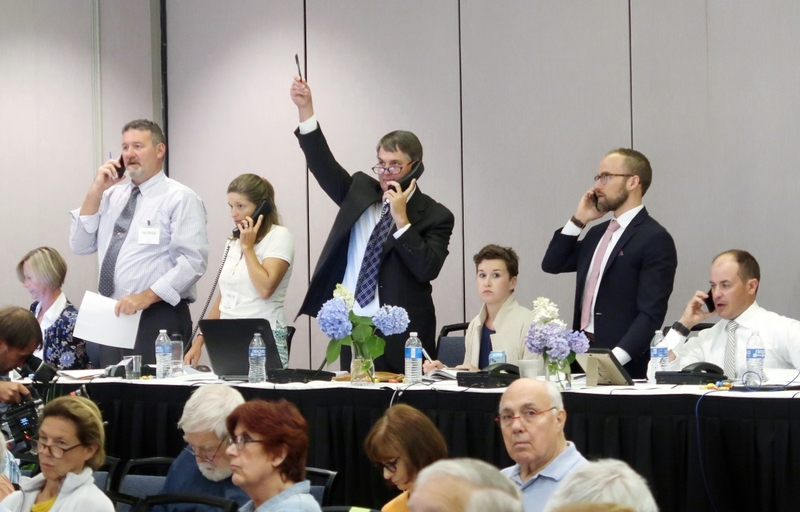 Seasoned bidders participated by phone on the top lots. Here, Copley chief executive officer Stephen O’Brien Jr hoists his paddle against competition from, standing from left, George Foster, Chelsie Olney and decoy specialist Colin McNair. 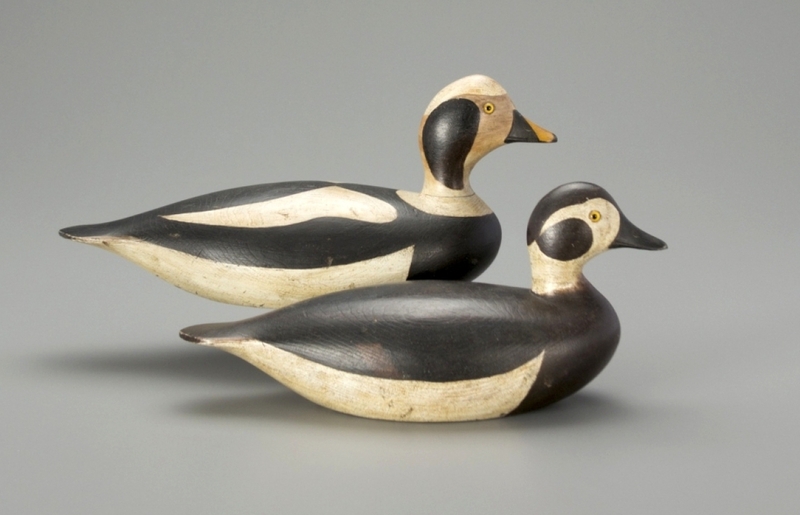 Earnest sold two of the dovetailed geese to collector Stewart Gregory, keeping the third for herself. 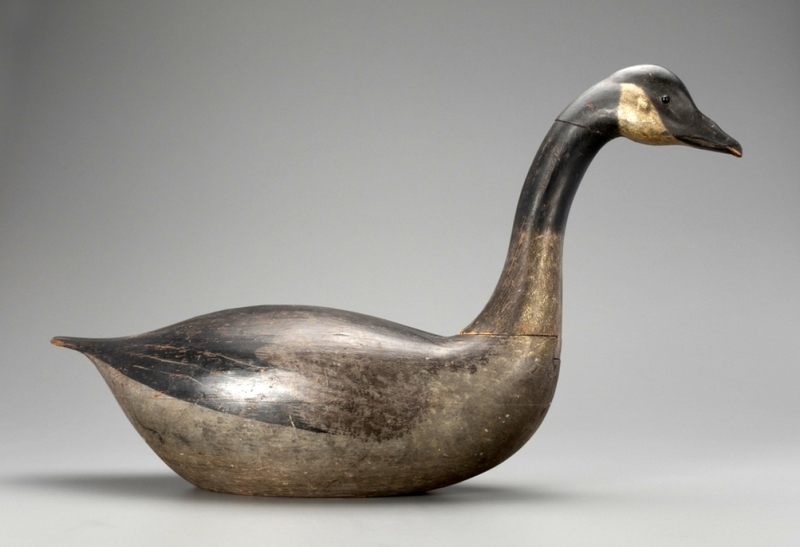 O’Brien acquired his goose from Sotheby’s 1979 auction of Gregory’s estate. 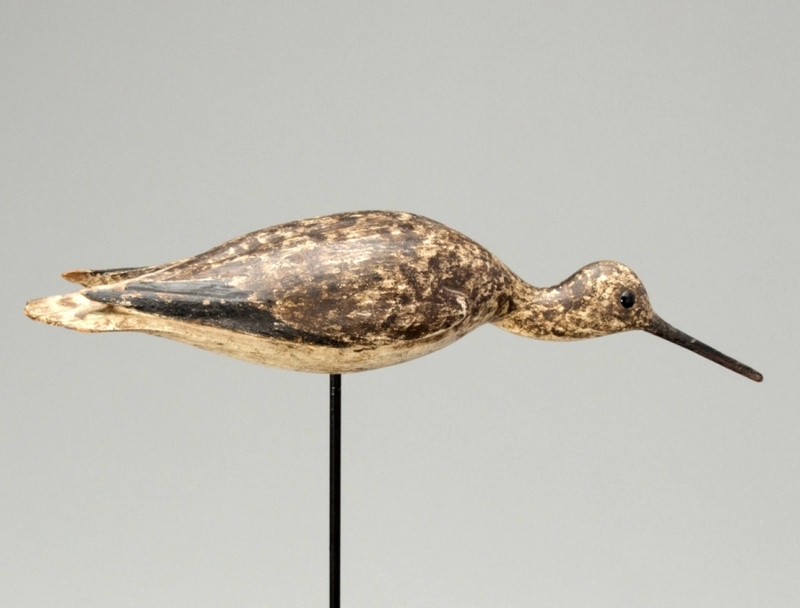 In its latest appearance, the bird, estimated at $500/800,000, went to a phone bidder for $810,000, the highest recorded price for the maker. The previous record, set in 2014, was $632,000. 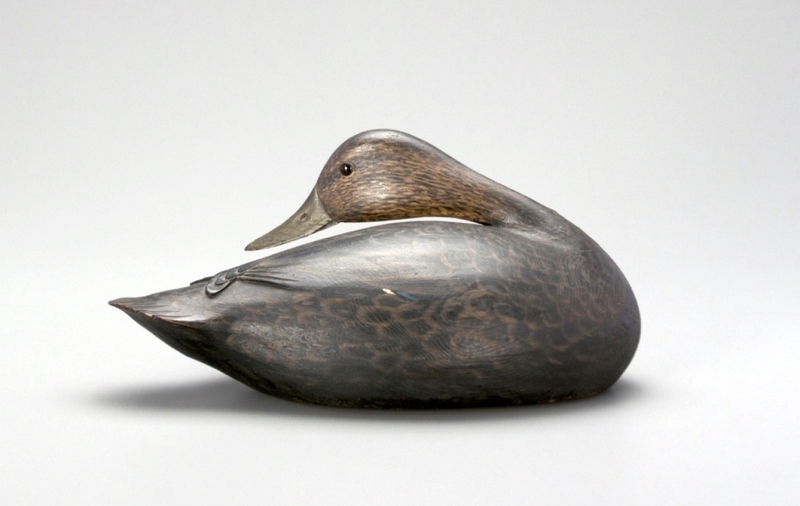 The second-highest lot was for a preening black duck by Cape Cod maker A. Elmer Crowell (1862-1952), subject of the forthcoming book Elmer Crowell: Father of American Bird Carving by Stephen B. O’Brien Jr and Chelsie W. Olney. 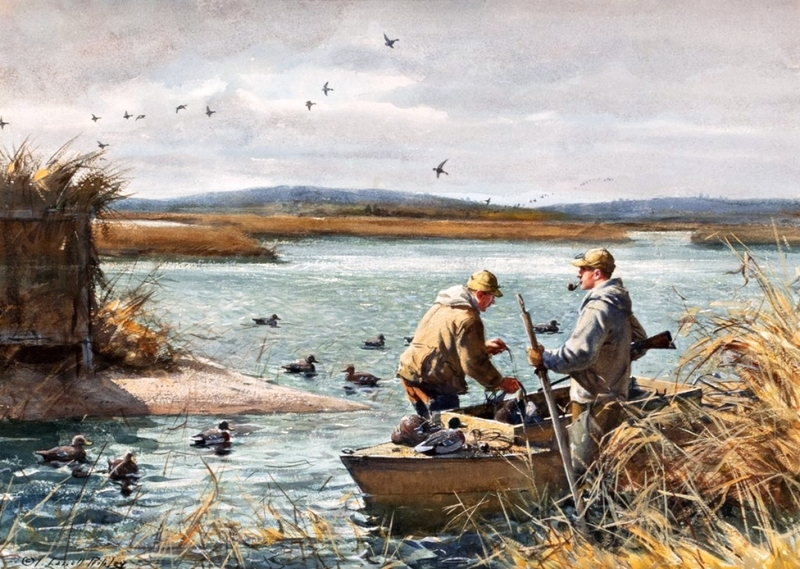 Crowell – who made the black duck around 1912 for one of his best patrons, the sportsman/collector Dr John C. Phillips (1876-1938) – doubled high estimate to bring $600,000. 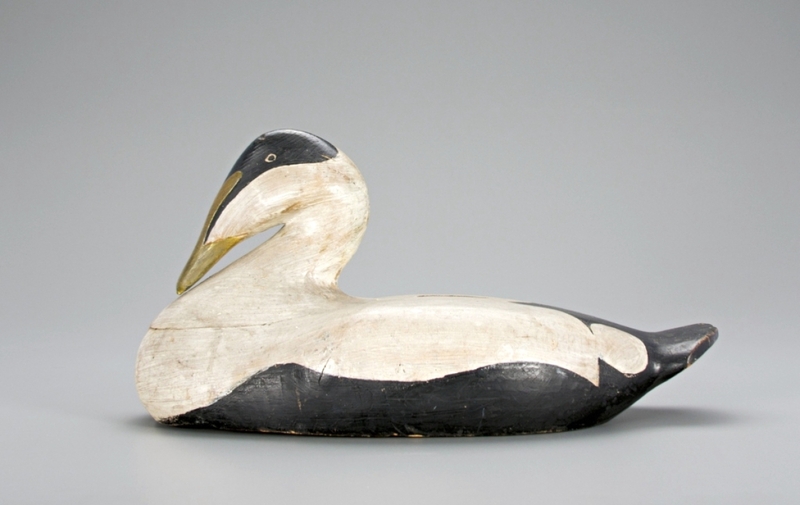 Crowell’s gift for naturalism was on full display in a circa 1925 carved and painted calling tern. 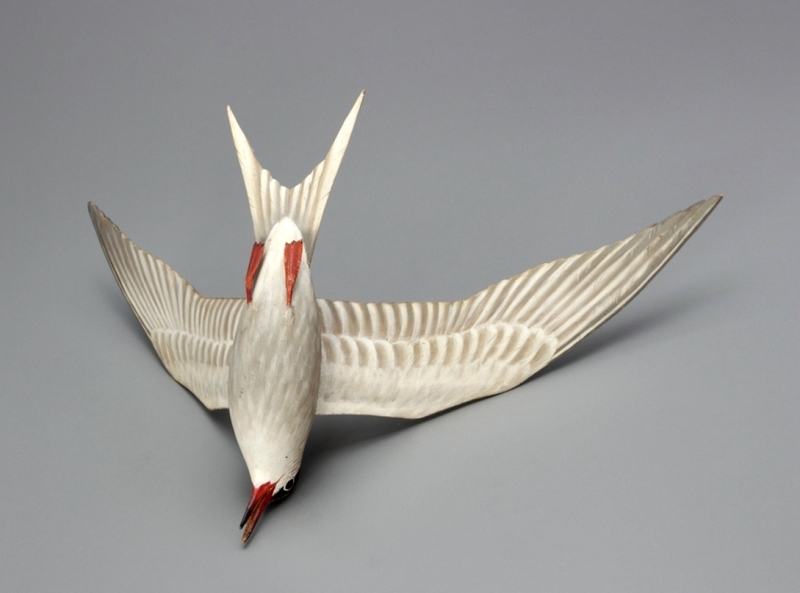 The carving more than doubled high estimate to bring $60,000, a record for a Crowell tern. 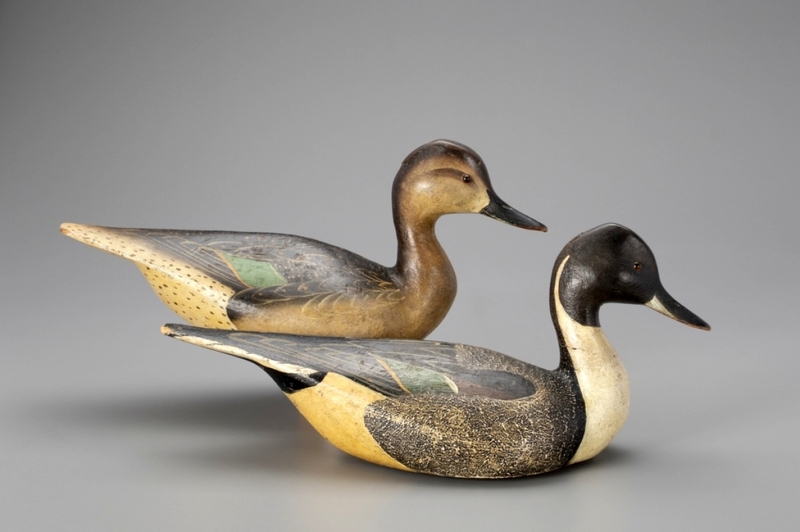 Likewise, the house set new records for a Ward brothers pinch-breast pintail pair, $252,000; a canvasback pair by John B. Graham, $216,000; a black duck by Nathan F. Cobb Jr, $66,000; and an eider drake by Arthur Poland, $57,000. 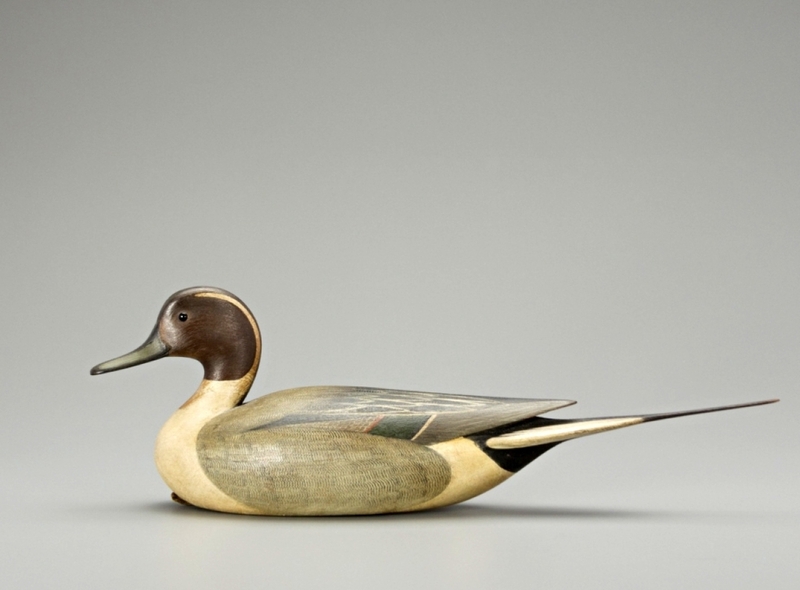 Over two days, Copley offered a rich assortment of fish decoys, plaques and models, some from the collection of Ronald S. Swanson, whose holdings yielded a circa 1927 Atlantic Salmon model, $27,600, by Connecticut maker Charles “Shang” Wheeler. “Top-notch works by the biggest names can be had at a range of accessible price points, including etchings by Frank Benson that are a great entry point for sporting art,” said Leah C. Tharpe. Copley’s fine arts specialist saw record prices for a painting by Milton C. Weiler and a bronze by Robert G. Wehle, plus prices in the mid-five figures for watercolors by well-known sporting artists Arthur B. Frost, Aiden Lassell Ripley and Ogden M. Pleissner. 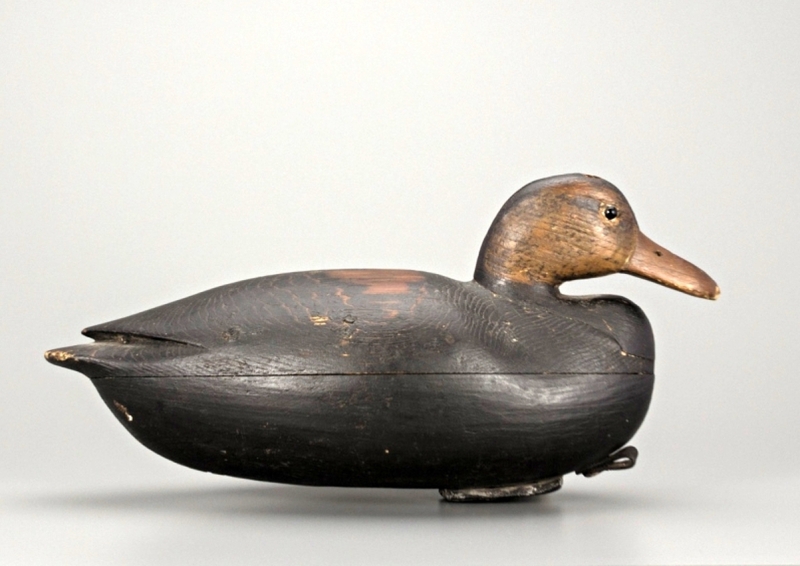 Earnest-Gregory dovetailed goose, Massachusetts or Pennsylvania, circa 1870, 29½ inches long, $810,000 ($500/800,000). 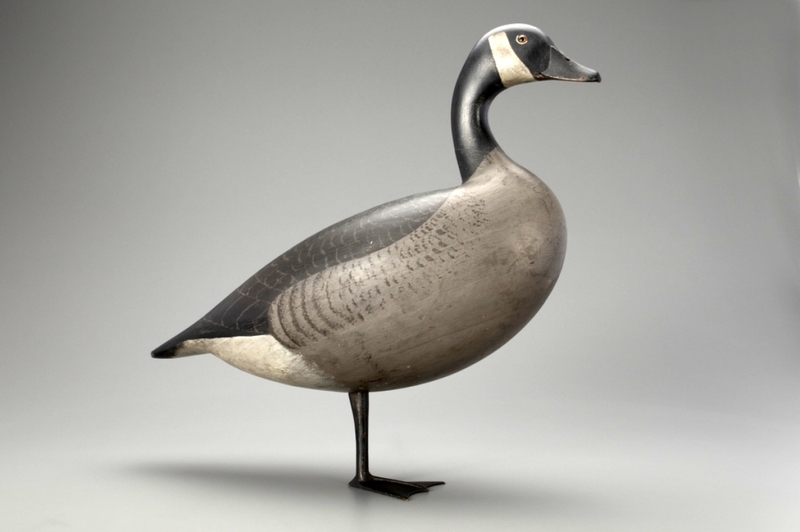 Adele Earnest (1901–1993) discovered this Canada goose and two like it in Pennsylvania in 1954. O’Brien purchased the figure at Sotheby’s auction of the estate of folk art collector Stewart E. Gregory (1913–1976) in 1979. Donal C. O’Brien Jr Collection. Prices, including buyer’s premium, are as reported by the auction house. 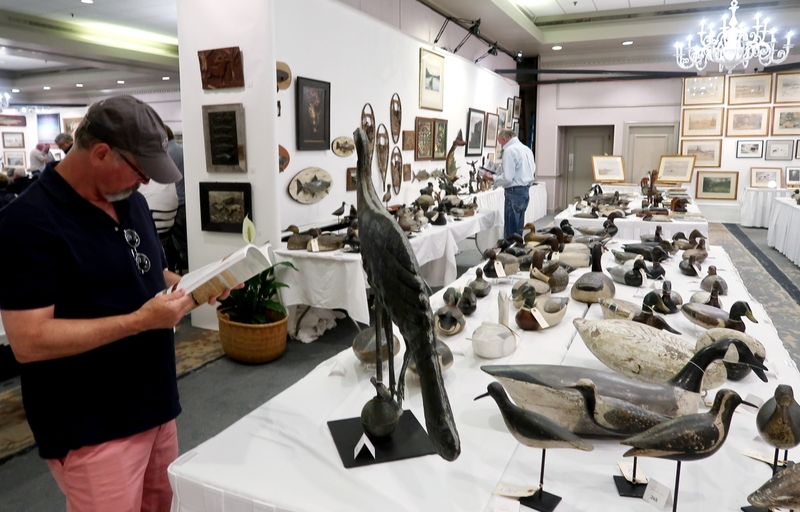 The Copley crew now turns its attention to its Winter Sale 2019, to be conducted in Charleston, S.C., in February in association with the Southeastern Wildlife Exposition. For information, 617-536-0030 or www.copleyart.com. 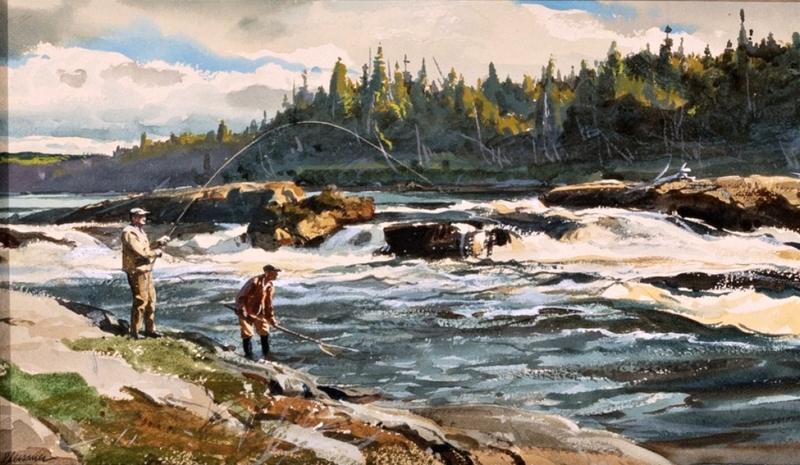 Atlantic salmon model by Charles E. “Shang” Wheeler (1872–1949), Stratford, Conn., 1927, plaque 17 by 52 inches, $27,600 ($20/30,000). Sporting Sale 2018.